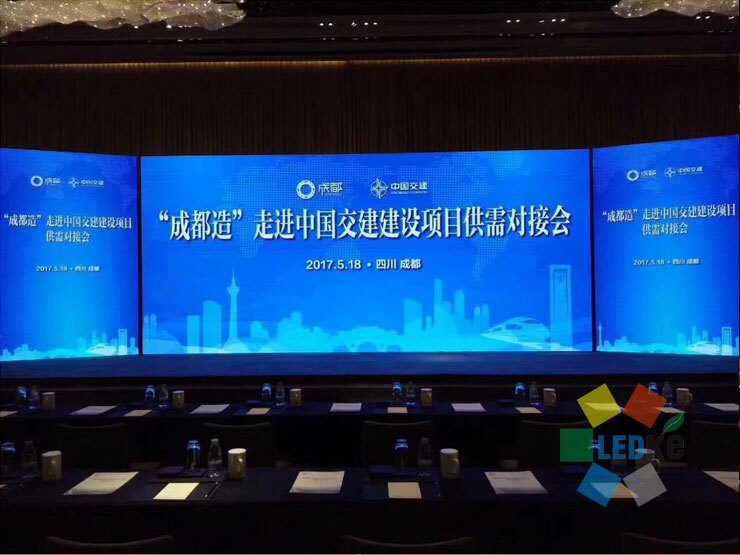 On the afternoon of May 18th, 2017, the “Made in Chengdu” and Projects supply and demand matchmaking conference of China Communications Construction Company Ltd. (hereinafter called: CCCC) was held at the Fairmont Hotel Ballroom in the middle of Tianfu Avenue, Chengdu. The supply and demand matchmaking conference was organized by Chengdu Municipal Commission of Economy and Information Technology, Xinjin County Government, Chengdu Top Brand Support Leading Group Office and Southwest Regional Headquarters of CCCC, also supported by China Communications Materials & Equipment Co., Ltd. and Chengdu Famous Products Supply and Demand Enterprise Alliance. This event aims to make “Made in Chengdu” to participate in the CCCC construction projects in Chengdu, and finally develop the industries and markets by the projects; also help CCCC concentrated understands the famous products in Chengdu, build cooperation platform for the supply and demand parties, helps Chengdu famous products to participate large construction projects in Chengdu, as well as the national and global projects, and finally driving the industrial economy of Chengdu. 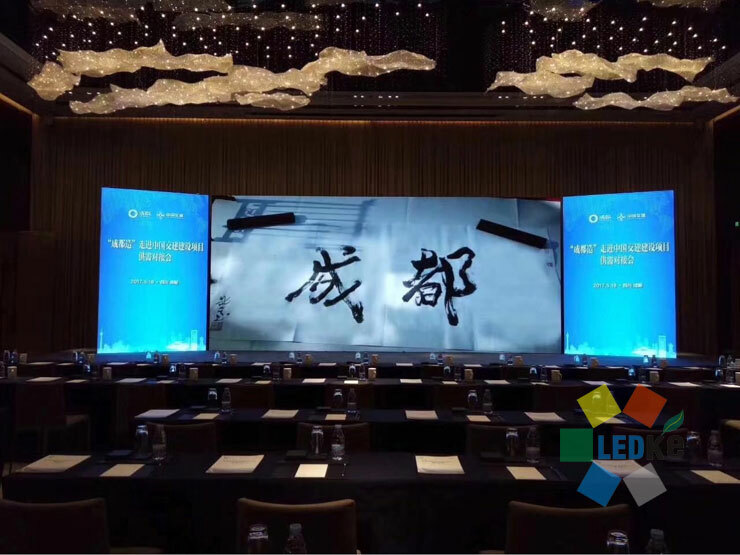 During this conference, we offered our hot sales item, that 60 square meter indoor die cast P3.91mm LED display for help, our vivid screen help more than 200 audience enjoyed the meeting intuitively.